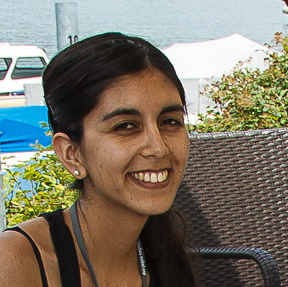 Fernanda Duarte is a postdoctoral fellow in the laboratory of Lynn Kamerlin at Uppsala University where her research focuses on understanding the chemical aspects of evolution of functions within enzyme superfamilies. She earned her PhD, with the highest honors, in Chemistry in 2012 from Universidad Católica de Chile, under the supervision of Alejandro Toro-Labbé. During her PhD studies Dr Duarte received a Fulbright fellowship to work in the laboratory of Weitao Yang at Duke University. She has published on hydrogen transfer processes, which are at the heart of chemical and biological catalysis; their characterization is a first step in the design and development of catalytic reagents. In 2009 she was awarded with the L’Oreal-UNESCO prize for Women in Science.